The economic profession and bankers on Wall Street have taken a hit to their credibility with missing the biggest recession since the Great Depression. It is understandable for the average person on the street to miss something as nuanced as a tiny recession but for a group of professionals whose mission statement involves understanding the economy and then to miss the biggest economic headwinds in a century is just inexcusable. This is no tiny recession. We have witnessed the unfortunate destruction of trillions of dollars and untold damage to the American working and middle class. Yet we are told from these same professionals that we are in a recovery. There is plenty of room to remain skeptical about this group. 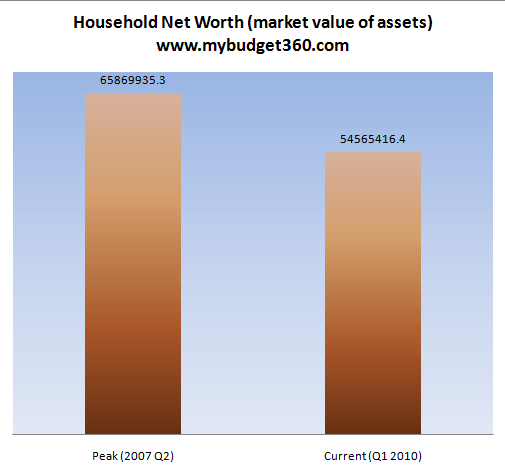 To clarify the chart, we are looking at the peak value of all household assets without liabilities in 2007. At this point, all assets were valued at $65.86 trillion. Today, the market value is closer to $54.56 trillion. 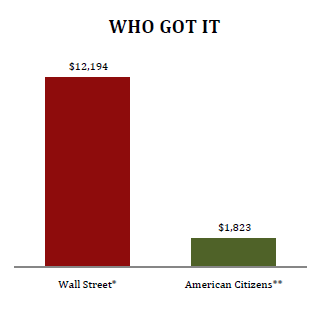 So if Americans feel poorer they should because we are $11.3 trillion away from the peak reached three years ago. This is an incredible amount of wealth destruction. This is why working and middle class families have been pushed off the financial ledge and are facing some of the toughest times in generations. And then you wonder how it is feasible for some banks to charge Americans 79.99 percent interest rates on credit cards. It almost begs for laws to outlaw usury. 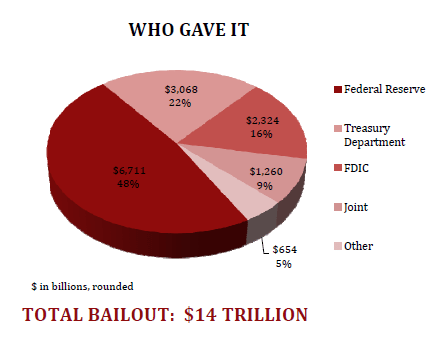 Yet the current government apparatus seems to be ineffectual at controlling the Wall Street machine. The recovery seems to be trickling down to a few hands but the vast majority of Americans are starting to wonder what is going on with this un-recovery. It is a chapter from 1984 where many are asking each other if things are truly better since the mainstream media and government say it is so. Clearly it is not and $11 trillion in destroyed wealth is going to put us into a very serious recession. Sure the bailout amount nearly equals the amount of household wealth destroyed but somehow this money is filtering its way back to the top 1 percent of the country. 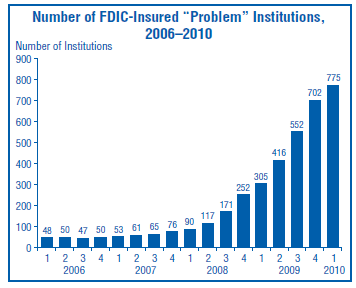 Today there are 7,932 institutions as of the first quarter in 2010. These institutions hold over $13 trillion in total assets. 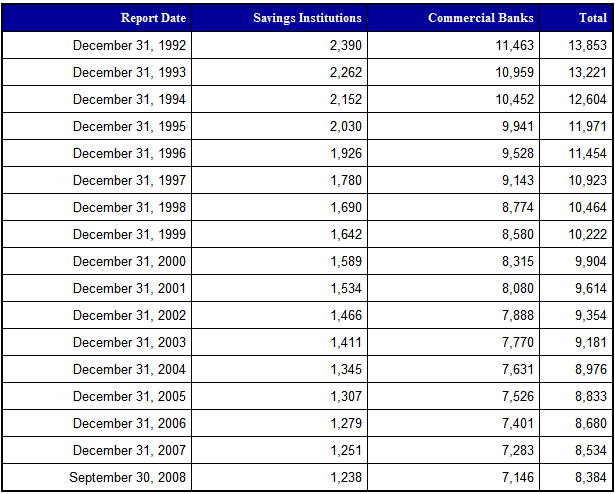 A large portion of this is shaky commercial and industrial real estate loans. You have to wonder what people are looking at when they think we are in a recovery. Is it the 40 million Americans now receiving food stamps? Is it the nearly 15 million Americans with no work? The only group that seems to be recovering is the banking sector but that isn’t news. Welcome to the un-recovery.